We think it’s safe to say that spring has finally sprung in the city. Signs of the seasons changing have been popping up everywhere from local food spots opening their patios to green grass and pastel flowers starting to sprout. With this, we’re excited to be bringing out our spring and summer stock to get you ready for the beautiful weather ahead. There are so many things to do in a city so abundant with nature and culture that we want to make sure you can venture out with ease. 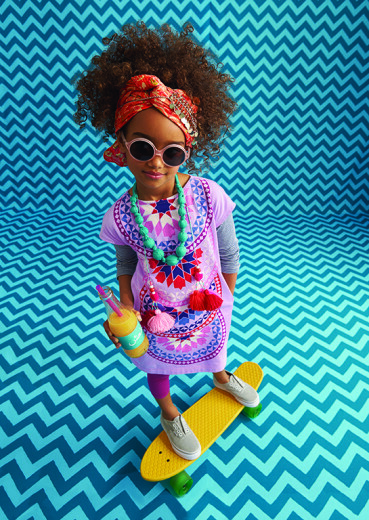 We cannot begin to express how adorable the spring/summer fashion is in our stores this year! First off, have you seen the SS 2014 Tea Collection? With Moroccan-inspired patterns and colours, there’s something for every young lady and gentlemen. With cute jungle animal tops and girly, twirly dresses, your kids will look fabulous all season long. All three of our store locations are carrying pieces from Tea so you can get in on the fun wherever you may be. We’re in love with some of the new summer styles and classics that TOMS has come out with this year. With sizes ranging from 2 – 11, your whole crew will have their feet covered while visiting local parks and festivals or playing outside with friends. Already looking for those summer sandals? See Kai Run has beautiful buttery soft leather shoes in cool style for boys and girls ranging from 6 months to 9 years old. Both shoe brands are available in all our store locations and online. As a parent, it’s super fun to dress your kids in cute summery outfits, but one of the most important things to accessorize them with this season is sun protection! Don’t worry, you don’t have to send them outside with a big glob of goop on their noses, we’ve got your sweet peas covered so you don’t have to worry! Before heading out for the day, it’s important to apply a generous amount of sunscreen 20 minutes beforehand. Anything with a UV protection level of 30 SPF or higher will do the trick like our Goddess Garden Organic Sunscreen, available for both babies and kids. It is water-resistant and is packed with anti-oxidants and vitamins to keep skin hydrated during busy outside play. We like this brand because it is made with 90% organic materials making it non-toxic and safe for delicate skin. Did you know that even babies should wear sunglasses? Wrap-around sunglasses are the most recommended when outdoors with both UVA and UVB protection. 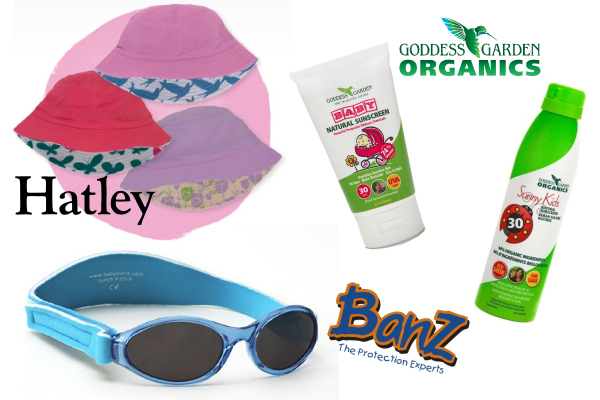 Baby Banz Sunglasses cover all the bases of sun eye safety while in the sun. Designed in Australia, one of the world’s toughest UV spots, Banz comes in sizes for newborns to kids up to five years old. They have 100% UVA and UVB protection, they feature polycarbonate lenses and a unique neoprene band with a soft silicone nose and brow piece for superior comfort and fit. You can pick yours up in store or online in an variety of colours and sizes. The fun doesn’t stop there! Hatley has an awesome collection of kid’s wide-brim sunhats. Each hat is reversible with a solid colour side and a patterned side. Now that you’re protected and ready to go, here are some upcoming local events to check out. This year marks the 62nd edition of the Canadian Tulip Festival. The festival is hosted in celebration of the return of spring, with over a million tulips in 50 varieties blooming in public spaces across the National Capital Region. The highest concentration of tulips can be viewed in the flower beds of Commissioners Park, on the banks of Dow’s Lake, where 300,000 flowers bloom. The Ottawa International Children’s Festival is an annual celebration of performing arts for children. Programs are geared towards children aged four to 15 and focuses on enriching school curriculum and promoting the arts as an integral part of children’s education. The majority of the events take place at LeBreton Flats and the War Museum. For a full schedule of events and to purchase tickets click HERE. Join thousands of runners from around the world during Tamarack Ottawa Race Weekend. Children, youth, and veteran runners take over Ottawa during this weekend for a number of events, including a kid’s marathon and two- and five-kilometre runs. The main marathon passes many of Ottawa’s major landmarks, so there are plenty of great spots to watch the races too. You betcha we’ll be a part of the Great Glebe Garage Sale again this year. The GGGS is a community event organized by the Glebe Community Association where homeowners set up yard sales on their front lawns creating one huge community events. Local businesses also take part in the event by having awesome sidewalk sales. Many vendors and shoppers collect and give donations to the Ottawa Food Bank. The event happens rain or shine and runs from 9 a.m. to 3 p.m. Anybody can enter! You can be smooching your incoming baby’s ultrasound picture, momma-to-be’s belly, a peck on your little one’s cheek or a slobbery smooch from your pooch. Send us a message on Facebook with your photo by 11:59 p.m. on Friday February 7th. Have your friends and family like our page and then like your photo. The picture with the most likes by 4 p.m. on Friday February 14th will win our Valentine’s Day prize pack worth over $85! 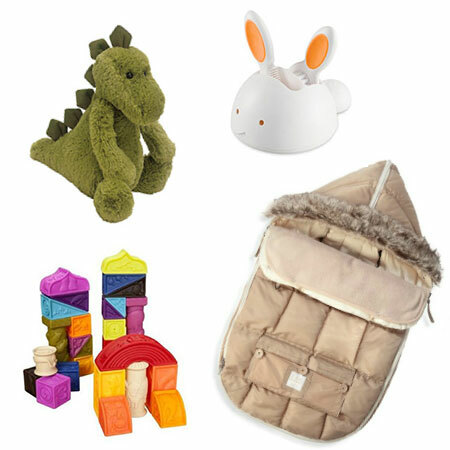 It sure has been a chilly winter so far and with wind chills and runny noses, sometimes it’s best to keep your little ones inside for the day. 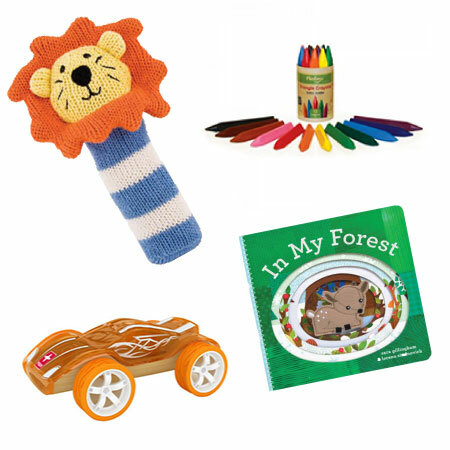 So while the mittens and boots are tucked away, here are some great indoor activities to do with your kids. You can create your own theatre or scope out the best spot behind the couch and create a magnificent puppet show with your children. We have some beautiful puppets from Cate and Levi that are made of cozy reclaimed sweaters and are proudly Canadian. With cute characters to choose from like frogs, moose and even a walrus, your little ones can act out their favourite stories or create their own. Just like the Brady Bunch, you can start up your very own family band and hold an indoor concert! 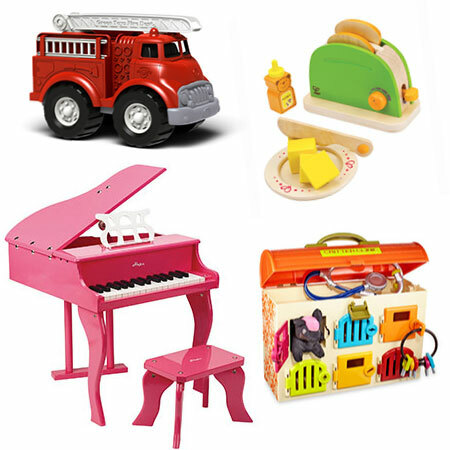 Whether you have pots and pans or the real deal, music is always a fun way to play. This musical set from Janod has everything you’ll need to go on tour. 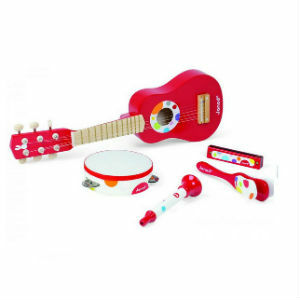 It includes a trumpet, harmonica, tambourine, a kid-sized guitar and a fun clapper. The five piece set is made of wood and comes in cool confetti colours. Sometimes it’s okay to let them play with their food, especially when it’s in their very own Youngster Café. 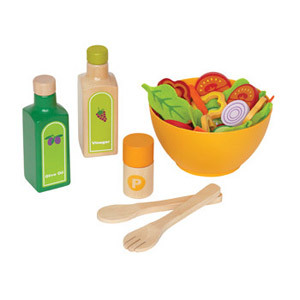 Your mini chefs can toss up some gourmet fun with the playfully delicious Garden Salad from Hape or serve you up a fresh croissant with a cup of espresso with the Janod Espresso Machine. Once pretend play is over, you can prepare a fun and healthy snack with your kids from our Kid-Friendly Snacks Pinterest board. Even though they’re stuck inside all day, you can bring the white fluffy snow inside in the form of cotton balls! 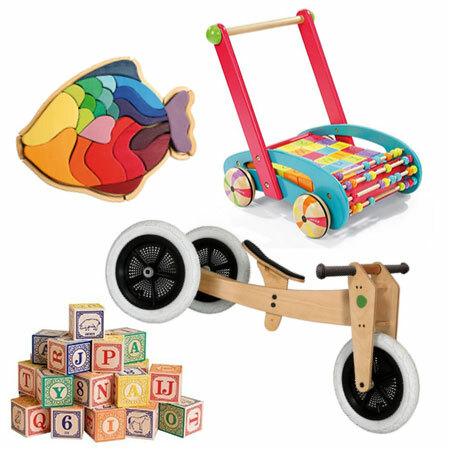 The Green Toys dump truck is the perfect vehicle to get the job done. 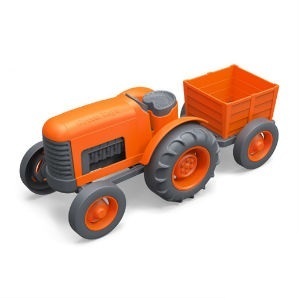 Lay out a bunch of cozy cotton and allow your kids to scoop them up with the truck or even the Green Toys tractor. However you spend your days, we hope they are filled with quality fun and giggles. Happy winter! Christmas is officially one week away today and if you’re like me, you still have just about everyone to buy for. 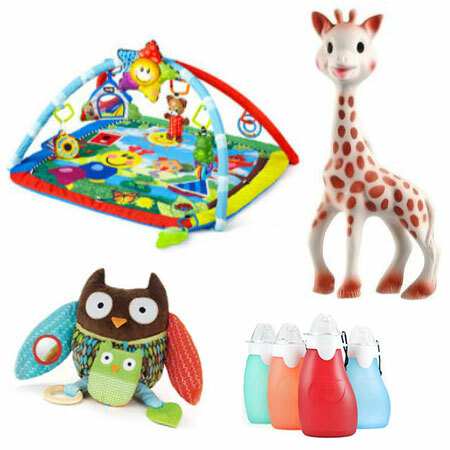 There is no need to dash around town into busy shopping malls and crowded parking lots, here at FAB, we have everything you need for your tiny tots, expecting moms and new parents in a stress-free, funky and always friendly environment. 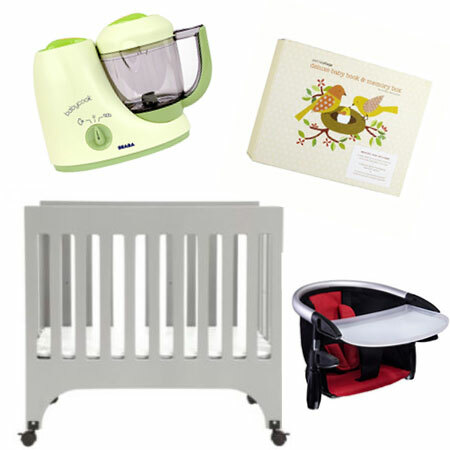 You can find all the following items in-store or online at fabbabygear.com. 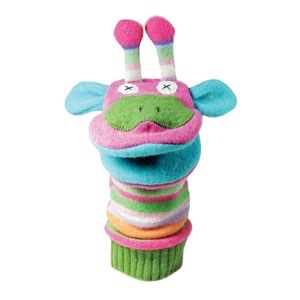 The cute and playful Squeak Easy toys from Rich Frog come in several different animals like cats, dogs, frogs and more! – $9.99. Keep baby close and snuggly while being hands-free with the Boba Wrap. Available in beautiful colours and design, the clothe wrap can be wrapped in any way with baby in any position to maximize yours and baby’s comfort. Best of luck with your holiday shopping and have a healthy and happy holiday season and New Year. 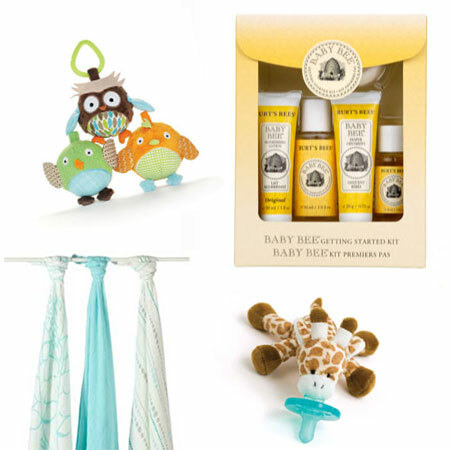 Make sure to come visit us in store at 1244 Wellington Street and 755 Bank Street in Ottawa or 286 Danforth Avenue in Toronto and don’t forget, we’re always open online at fabbabygear.com. Totally Obsessed aka, How to Keep Busy in the Very Little Downtime that you Have. Right after my wedding I found myself taking on a ridiculous amount of projects. Seriously, there was nothing that a glue gun or some seam tape didn’t touch. In talking with a lot of Mom’s here at Fab, that feeling seems to pervade when Baby is sleeping and Mama can’t. When you’re used to running at 150%, how do you keep busy when time stops? I, personally, spend my time on the internet. And Hello Giggles has become a daily visit. Sure, I read Google News. And yes, I spend some time shopping for shoes. Please- Don’t even get me started on Pinterest. But I find it’s Hello Giggles that is eating up the bulk of my time lately. And the bulk of my “did you hear about this” conversation starting! This delightful blogosphere created by Zooey Deschanel, Sophia Rossi and Molly McAleer brings up topics that are infinitely relevant. It’s an every-woman type of site that allows bloggers to just, ever so simply, write. As we all hunker down for a long winter with our loved ones and our littles, I can think of nothing better than a cozy cuddle by the fire with some awesome reading material! 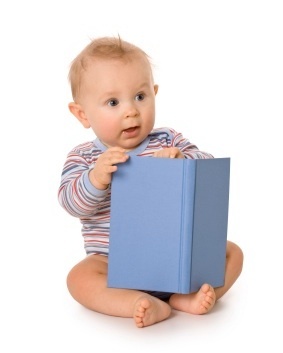 Most recently, I stumbled upon an interview with Jessica Valenti, author of Why Have Kids? An awesome book that covers such taboo topics like “Eep! I’m not instantly connected to my little one- am I a failure? ?” I love finding real-world, real-time mom’s who don’t judge. Check out the interview here. I also stumbled upon a little gem that, perhaps because we’re two sleeps away from my 31st birthday, feels so right. When you’re nursing at 3am tonight, have a read of the 10 Things I Wish I knew As a Teenage Girl by Anne T. Donahue. It will make you laugh a little, and shake your head. Because didn’t we all just run about making decisions with the intensity of an uncertain Carrie Bradshaw? Finally, in my NanoWrimo Inspired ode to women who write, I’d also suggest that our Fab Moms download Mindy Kaling’s “Is Everyone Hanging Out Without Me? (And Other Concerns)” to their e-readers! This book, titled after a feeling that I’m positive all new mother’s feel, reminds me so much of my youth. It’s light-hearted enough to skim through one chapter here, and one chapter there. And it’s infinitely relatable, which will keep you coming back for more! Always on the hunt for a delightful new read- make your suggestions! We’ll be sure to check them out!